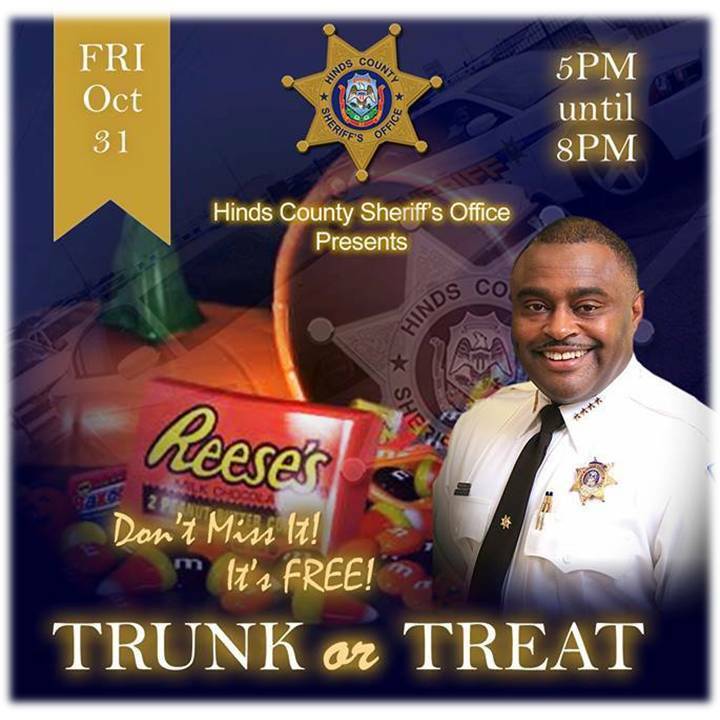 The Hinds County Sheriff’s Office will present its first “Trunk or Treat” event at the Metrocenter Mall tonight from 5:00 p.m. until 8:00 p.m. This family friendly event will give children in our community an opportunity to engage in safe trick or treating. There will be candy, bounce time at Jumpin’ Jax, face painting, haunted houses, and a costume contest. All the events will take place in the center court of the mall near Burlington Coat Factory. This event is a free family event so come out and enjoy!